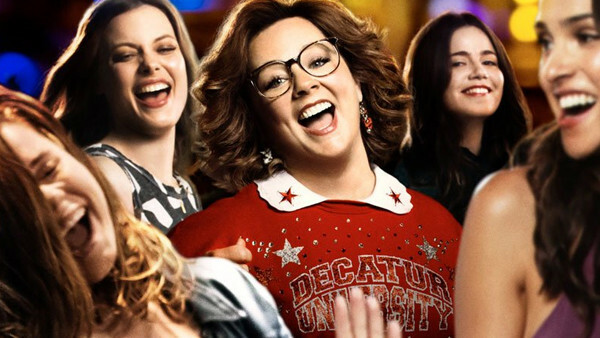 Melissa McCarthy's new comedy Life of the Party is out in cinemas now, though given the general lack of publicity and total absence of pre-release reviews, you'd be forgiven for not even noticing. The movie, which stars McCarthy as a middle-aged mother who goes back to college after a messy divorce - the same college as her freshman daughter, no less - is unsurprisingly scoring largely negative reviews from those few critics who've ventured out to see it so far. While there was certainly potential for this to be a refreshingly feminist spin on the 2003 classic comedy Old School - just as the recent Blockers cleverly retooled American Pie for millennials - it ultimately rarely rises above forgettable mediocrity. A missed opportunity, indeed.